For this time we host the last time at Arena Club. After two years of experience in this great place, after unforgettable nights we had there. This time we come together to say goodbye to Arena Club, the place where it all began for us! Strictly Forbidden is a radically new approach to the night experience. With our committed focus on bringing together divergent modes and methods of entertainment, Strictly Forbidden ultimately grants permission to those who want to experience, engage, and entertain a night that transcends boundaries. By uniting live music/performance acts, installations, audio/visual effects, djs, Strictly Forbidden invites and encourages artists from diverse backgrounds to innovate ideas through collaboration, and the cultivation of concepts. Therefore, our aim is to organise in a host location that would most successfully express our shared ethos. I AM NO OTHER BODY! Prepare yourself for the next level of connection between the repulsive and attractive force. In the club, you ‘ll receive information about playing safer. Strictly Forbidden ist eine multidimensionale Erfahrung die Künstler aus den verschiedensten Richtungen zusammenbringt und sie dazu animiert aufeinander einzugehen um somit einen Gesamtausdruck zu kreieren. In einem hedonistischen und queeren Party-Konzept versucht Strictly Forbidden den gewöhnlichen Ablauf eines Techno-Club-Besuchs durch seine außergewöhnliche Performances und gegen Kontraste zu rekonstruieren. Absicht ist dabei, den Gast in einer familiären Umgebung dazu zu bringen zu realisieren, dass nicht alles, was nicht auf Anhieb nachvollziehbar ist, zu verurteilen – daher der Name Strictly Forbidden. Nebenher ist dieses Party-Erlebnis auch eine künstlerisch tiefgehende Erfahrung angetrieben von gesellschaftlichen Verbesserung & Absichten. Auch “Mancheck” engagiert sich für ein Party-Safe-Konzept, um in der Berliner Club-Kultur mehr Sicherheit zu schaffen. Strictly Forbidden bucht ausschließlich Lokale DJ’s um die familiäre Aura stets beizubehalten. Durch die audio-visuelle Erfahrung behält der Floor stets seine aussergewöhnliche Umgebung. Durch das neu konzipierte Lichtdesign zeigt Strictly Forbidden die Arena aus neuer Perspektive. Seid gespannt! Die Kombination von Hedonismus, Rave und Kunst zieht ein sehr breites Publikum an, um somit das Koexistieren miteinander zu fördern. 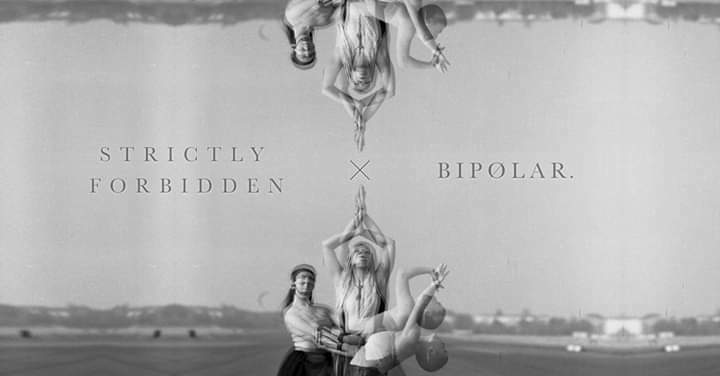 Strictly Forbidden is a multi-dimensional experience, bringing together artists from different backgrounds, and encourages them to come together for free artistic expression through collaboration. Strictly Forbidden aims to reconstruct the traditional queer and hedonistic atmosphere of techno events, by providing contrasts in performances meant to challenge both artist and club-goer. The intention is to make the guest a part of our family, to realize that not everything that is not immediately understood is condemned – Hence the name Strictly Forbidden. The party experience is an artistically profound experience driven by social improvement & intentions. Mancheck also commits itself to our safe-party concept providing relevant information and extra awareness so that club-goers feel safe and open as they experience Berlin club culture. Strictly Forbidden only books local DJ’s to provide a platform for local / rising talent and to add to the family atmosphere of our nights. Through both audio-visual experiences, the floor retains an exceptional environment that cannot be replicated along with a newly designed light show that will showcase Arena Club like never before. The combination of hedonism, rave and art culture attracts a wide audience range, and as such promotes coexistence. Strictly Forbidden is a party concept that combines Art and Fetish to create a unique experience, transforming the Club into an multi-dimensional playpen. With three areas of focus, you decide how to enjoy the night as one aspect does not overpower the other. With the promotion of new/unique sounds, artists, and avenues of expression, Strictly Forbidden aims to present a new concept for each party that represents the diverse Berlin clubbing community and what may come in the future..
Presenting for the first time a pre-party exhibition that begins at 11pm, “Knast im Kopf” aims to promote upcoming local artists in multiple formats. A special cooperation of Goran and Charly Schaller accompanied by all artist will present outward artistic expressions, unlocking the forbidden cells within your minds. 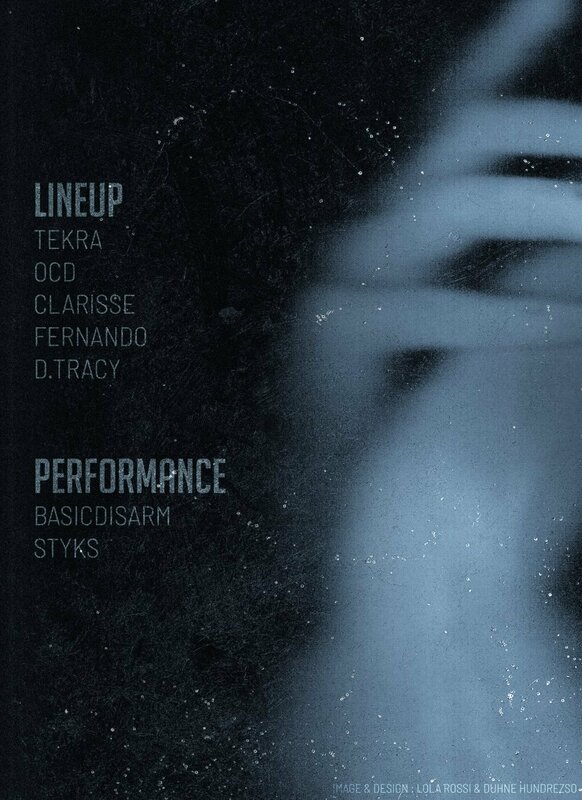 Comprising of Experimental Music, Visual Projections, Alternative Fashion Showcase, [anti]antibody and Mask designs, the exhibition will feature multiple performances during the pre-hour and the opportunity for interested ravers to interact and be involved with the art as it is presented to them. After the exhibition, the artists will stage throughout the night mini-showcases that will engage ravers in a passive, yet memorable way. Knast im Kopf is organized by Paroxysm. For our third event we bring together a group of Berlin based DJ’s and producers each of which has a strong connection to the local scene. Johnny Island, Vergil, Izzi Bizzi, Forrest Frazier and Jon Snow come together to create a night of growing tension, that escalates with each hour. Each brings their own unique style, so that the sound remains fresh throughout the night. DRESS CODE: Leather; Mask; Costume; Slave; Alien; Dogs ; all Fetishes are supported and welcome..
Rules: Treat everyone with respect. Touching anyone without permission or any form of harassment is not allowed! NovaFuture Blog and the Arena Club are happy to give you the chance to win free tickets for the 2nd instalment of Sctricly Forbidden on the 29th September 2017. You just have to send us an email with the subject “Forbidden 2” plus your details (first and last name, age!) as message text to verloser -at- novafuture -dot- biz (deadline: 29th September at 11am) … The winner will be selected by random (for sure she/he has to send in all details).